PASSCO department has career opportunities. Well educated Pakistani citizens are invited to apply. Here is detail of latest advertisement Pakistan Agricultural Storage And services Corporation Limited (PASSCO). 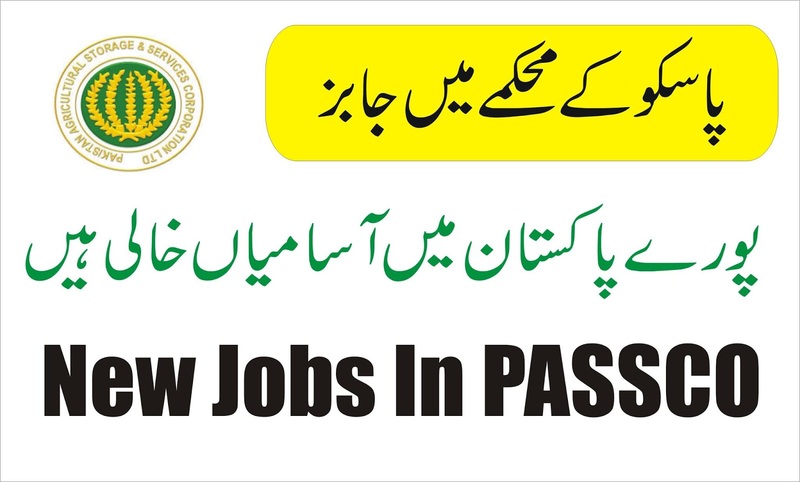 Interested candidates should download application form from and bank challan from Pakistan Testing Service website www.pts.org.pk and PASSCO website www.passco.gov.pk. Test fees 91 Rupees must to United Bank Limited or Habib Bank Limited. Candidates shall submit dully filled application form along with test fees, copy of CnIC and two recent passport size photos directly send to PTS address.